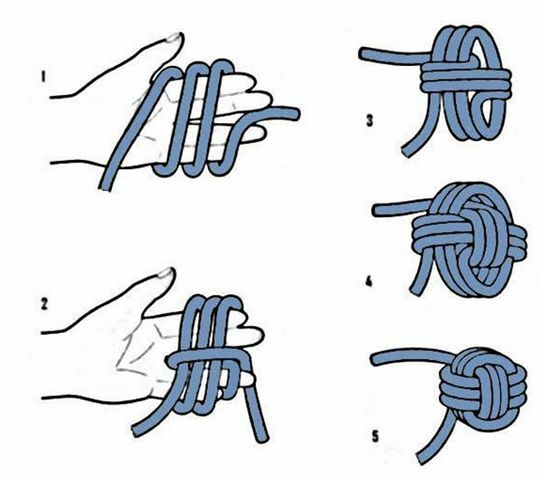 Monkey's Fist Tying Wrap three turns around your fingers (metal here). Pass the end through the middle. Make three more turns around the first ones. Pass the end through the middle. Make three more turns locking the previous turns and remove fingers. 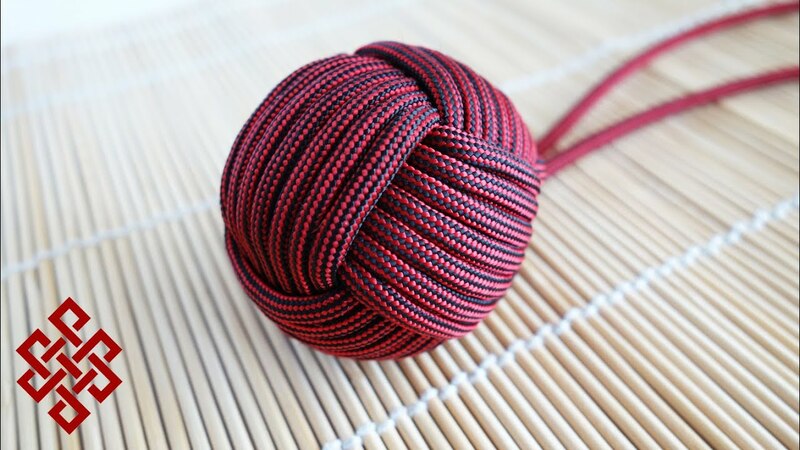 Tie a knot in the end and tuck it into the center. 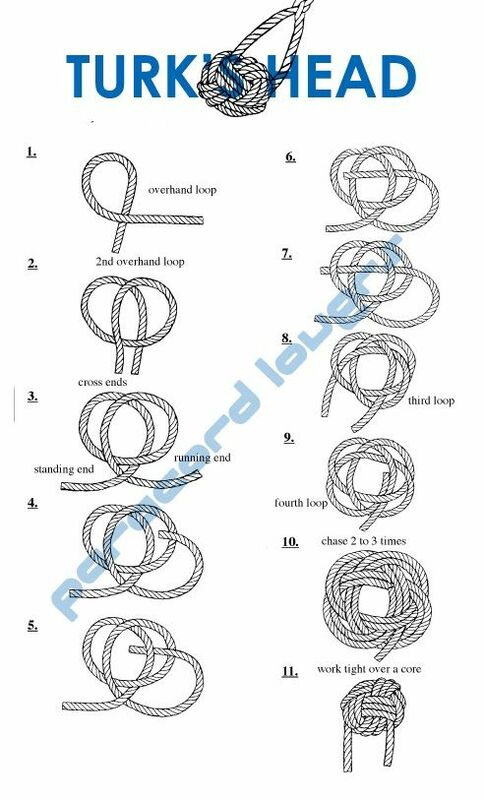 Then tighten every turn. View Video Below. 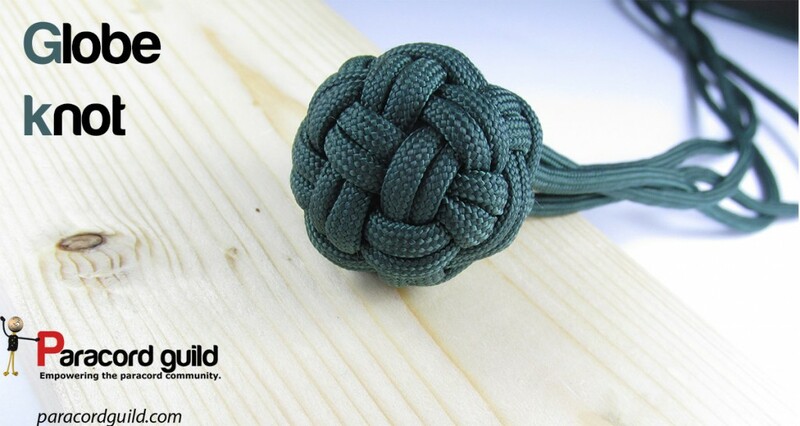 How To Make A Monkey Fist Knot Without A Marble This video shows you how to make a monkey fist without an object ( like a marble ) on the inside. 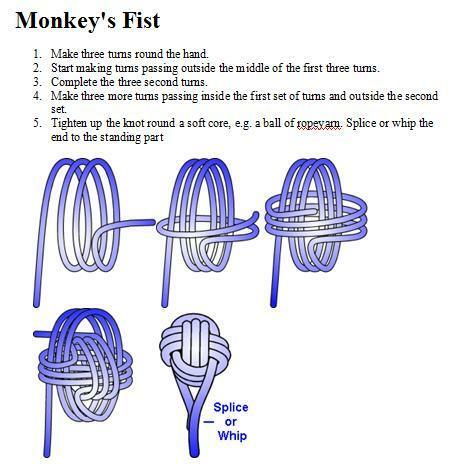 This makes for a very small, keychainsized monkey fist.